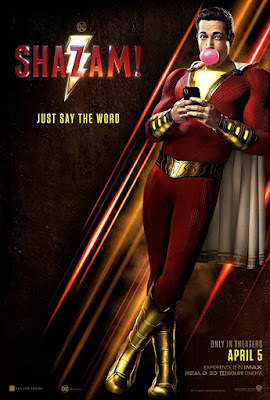 The PCG: Screen Time: SHAZAM! The core concept captures one of the central tenets of the superhero paradigm, underlining its enduring appeal to the young and the young at heart: uttering a magic word that can transform you into a hero capable of flight and punching out bad guys with super-strength. 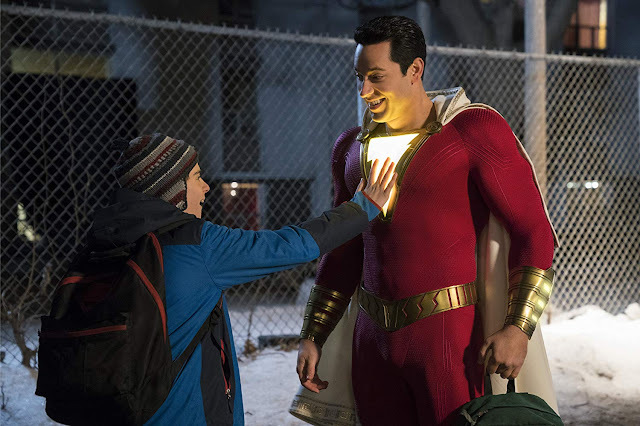 Billy Batson (Asher Angel) is a foster kid who's been bounced around the system, issues of abandonment fuelling his perpetual desire to cut loose and run, never feeling like he fits, believing he can get by on his own. The wizard Shazam picks him either due to foresight or desperation, as Dr. Thaddeus Sivana (Mark Strong) - a rejected contender - seeks to unleash dark forces on the world. This may sound somewhat dour and portentous but it's exactly the opposite thanks to a script that knows how to balance serious with fun, a director that has an eye for wonder as well as realism, and some delightful performances from the core cast. Zachary Levi shines as the title character, fully embracing the opportunity to do the boy in an adult's body thing (yes, there is a nod to Big), and the way Billy matures through different eyes, as he gains a new perspective on the world, is as touching as it is effective. Levi has a a great dynamic with Jack Dylan Grazer, who plays Freddie Freeman, a young boy who's both thrilled and exasperated with the way Billy handles his transformation. By extension, the chemistry between Angel and Grazer feels truthful thanks to the way each young actor iinhabits his respective role, and this feeds through to the rest of the younger cast members, allowing the film to become an ensemble of sorts as it reaches its third act. Strong is clearly having a ball playing a supervillain (again! ), although there seems to be more potential for him to take Sivana further than there was with Sinestro in the misjudged Green Lantern (where he was the standout by far). Director David F. Sandberg takes his experience from horror flicks Lights Out and Annabelle: Creation and invests Shazam! with an '80s Amblin sensibility, where scaring kids whilst entertaining them was part of the formula. It may be lightweight in comparison to some offerings in the genre but it's a far more appealing direction for the DCEU to be headed in, worlds away from the relentlessly grim Batman Vs Superman: Dawn Of Justice. 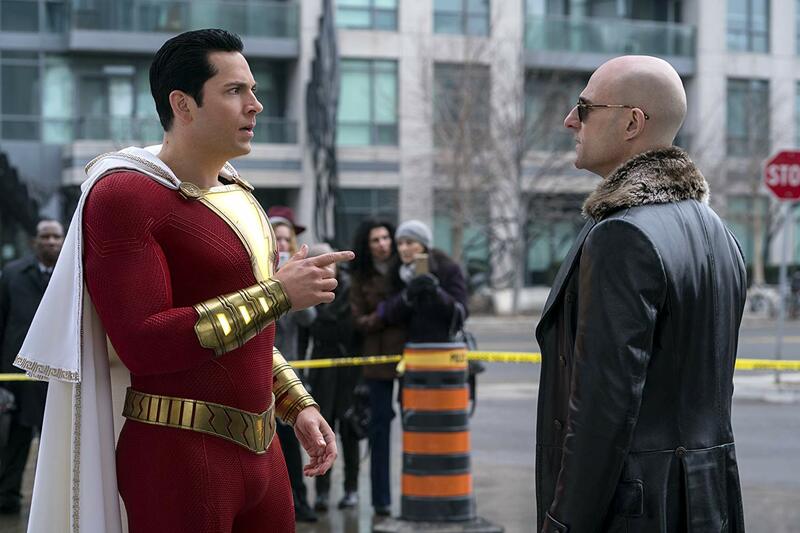 Sandberg understands there's a need to go dark in this sort of fare, but not at the expense of dismissing the material's four-colour roots, where outlandish costumes and physics-defying feats of strength and agility by their very nature have 'fun' written in their DNA.